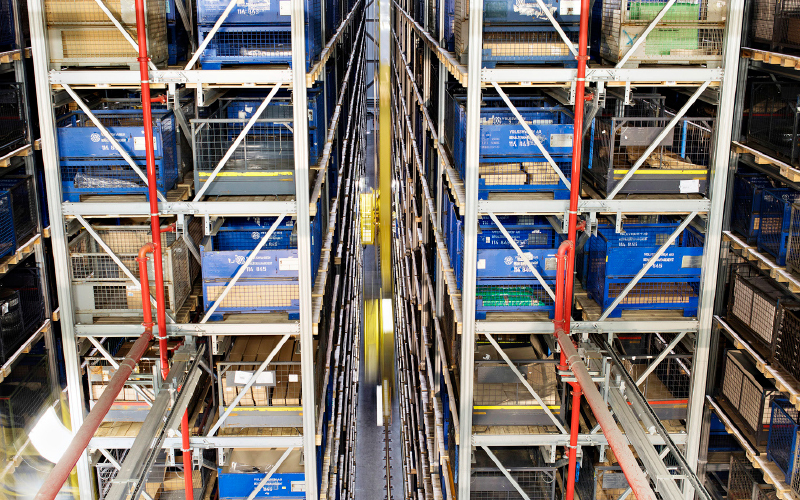 The ŠKODA Parts Center ships 28,000 orders of genuine parts and accessories to over 100 countries every day. 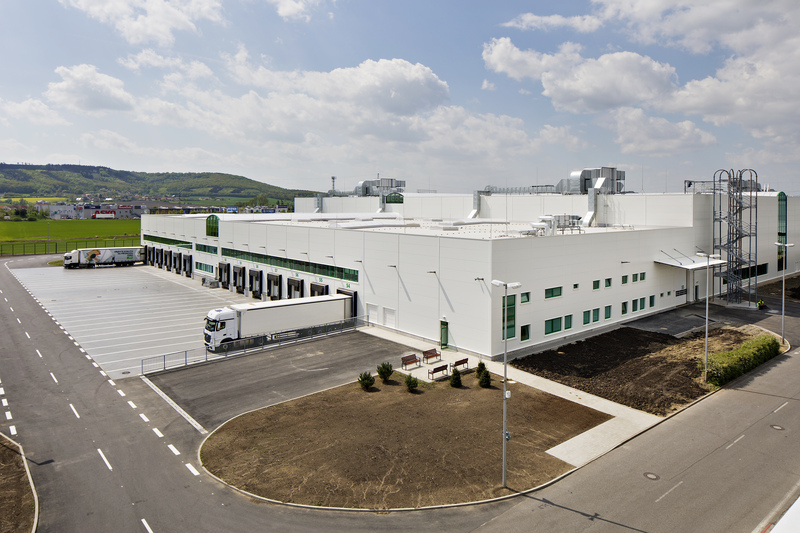 Located in Řepov, its warehousing sites cover an area equivalent to 13 football pitches. ŠKODA has been selling and distributing spare parts since 1992, when it took over this responsibility from the state-run Mototechna. 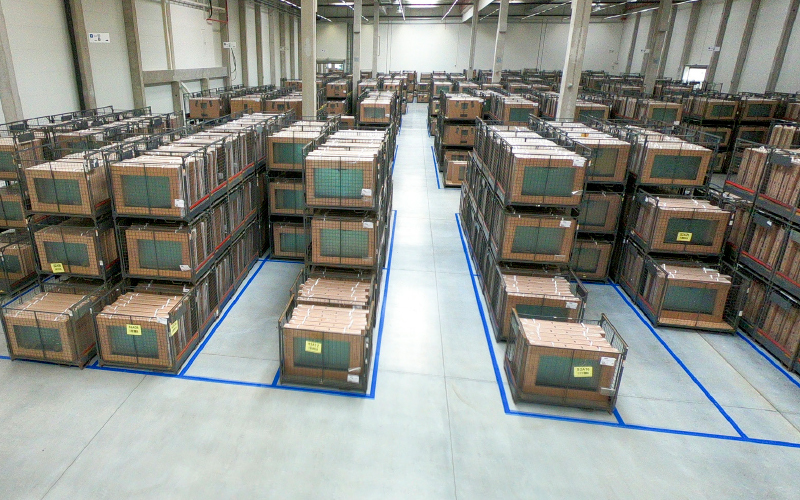 In the early stages, shipments were distributed straight from the production plant. 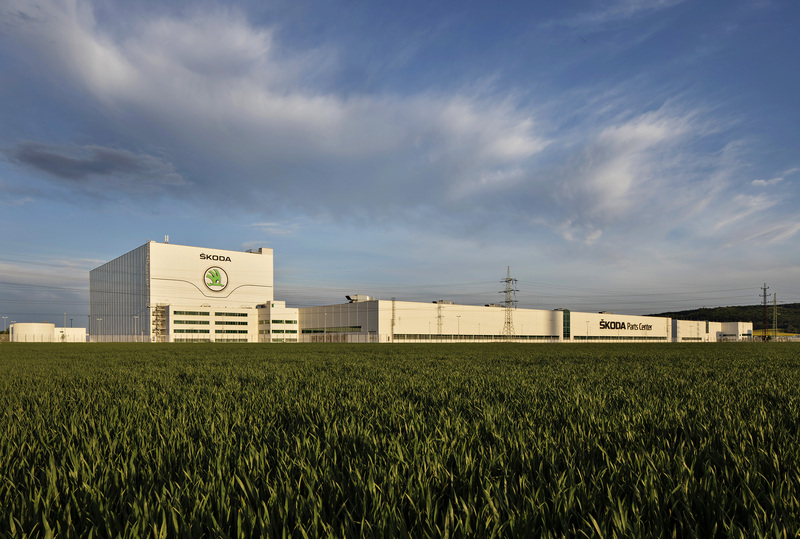 In May 1998, ŠKODA started building a special warehouse to store genuine parts, the ŠKODA Parts Center, including stock-in and stock-out sites and an office building. 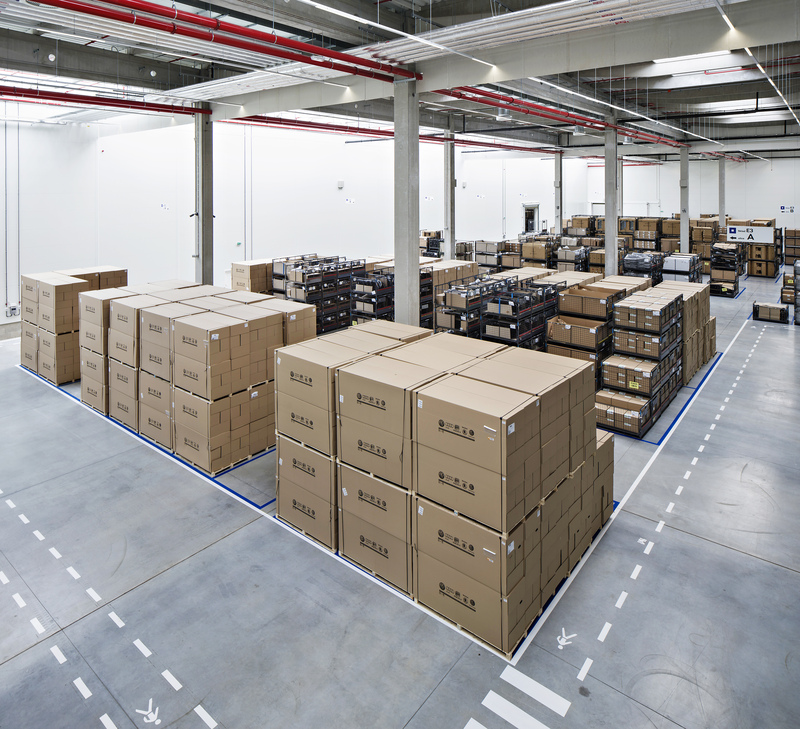 Originally a 34,000 m2 facility, the site has gradually grown to its current 105,000 m2 and has become one of the Volkswagen Group’s three central warehousing operations in Europe. 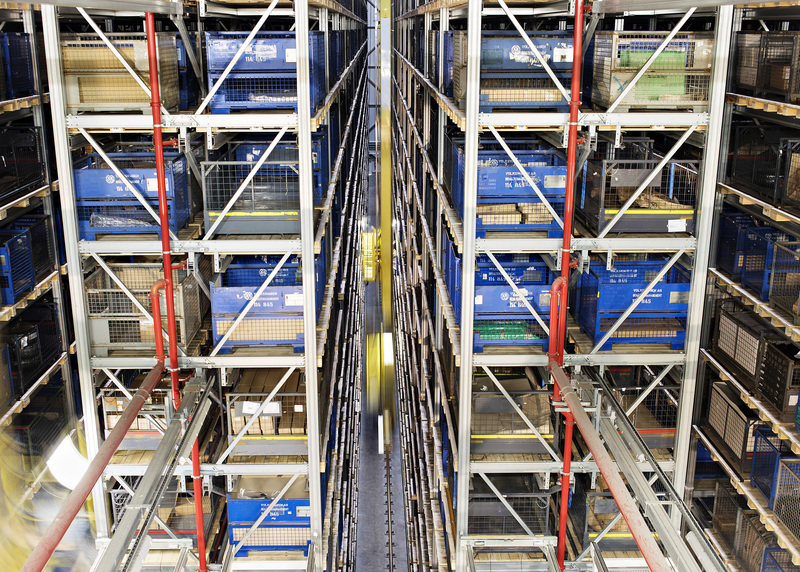 The Center stores 140,000 items, from small screws to big bodywork parts. 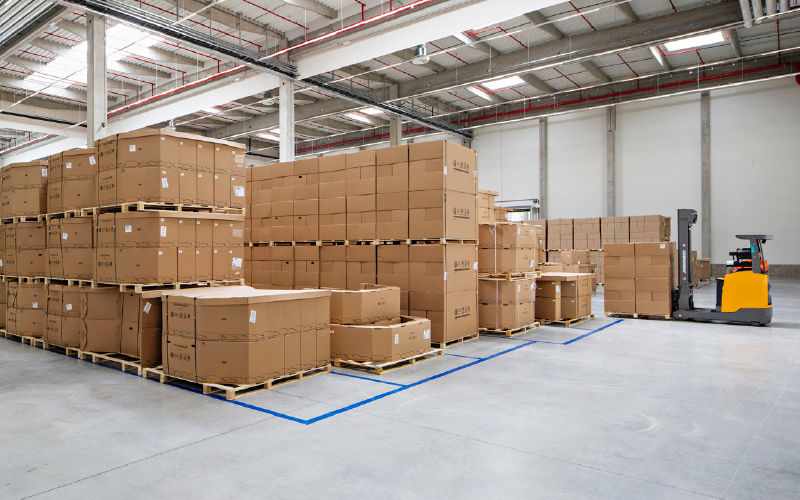 In total, the warehouses handle over 13 million units of various sizes, which are stored and distributed to service partners and dealers; the supply of parts to production lines is a separate operation. 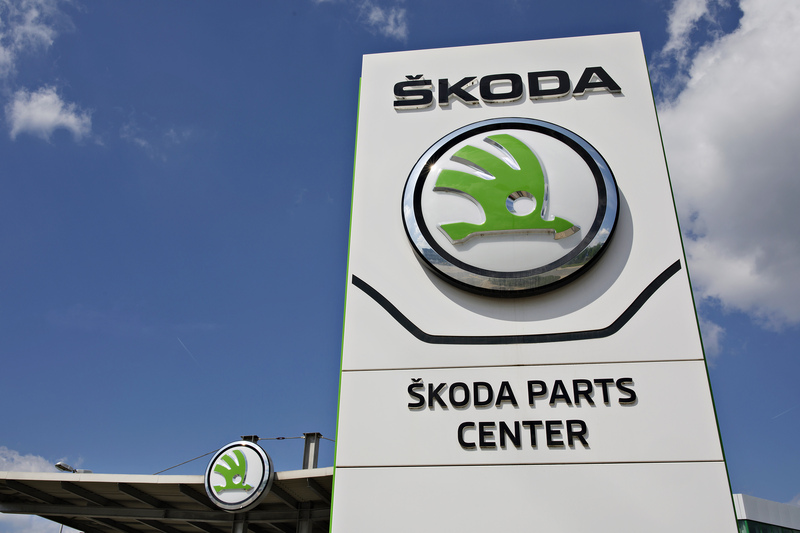 The ŠKODA Parts Center is impossible to miss. Located just off the Prague-Liberec motorway, its 42-metre stacking warehouse is the tallest industrial building in Mladá Boleslav. What’s more, this building bears the world’s biggest ŠKODA AUTO logo – with a diameter of 12 metres. The construction of such a huge building was a major challenge. Measuring 112 x 52 metres and 64 centimetres high, the concrete foundation plate was built on 578 piles to provide the load-bearing capacity and stability required for forty-metre shelves. 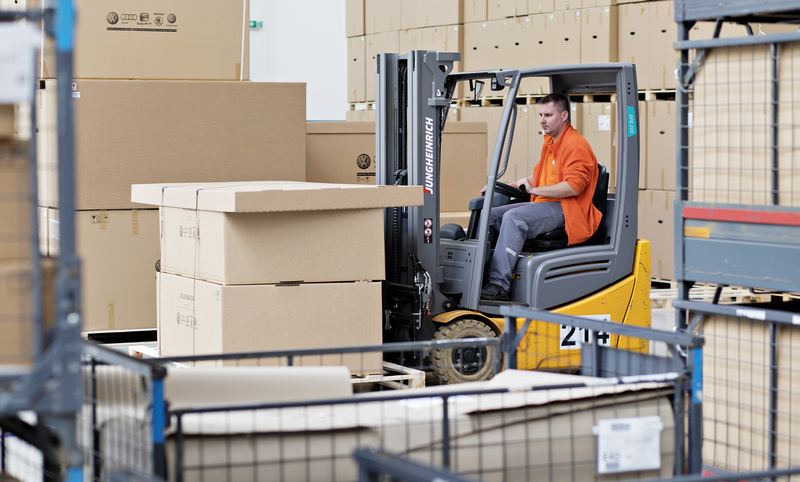 The Mladá Boleslav distribution centre stores and handles spare parts for ŠKODA, VW, Audi and Seat, which is why it keeps on growing. 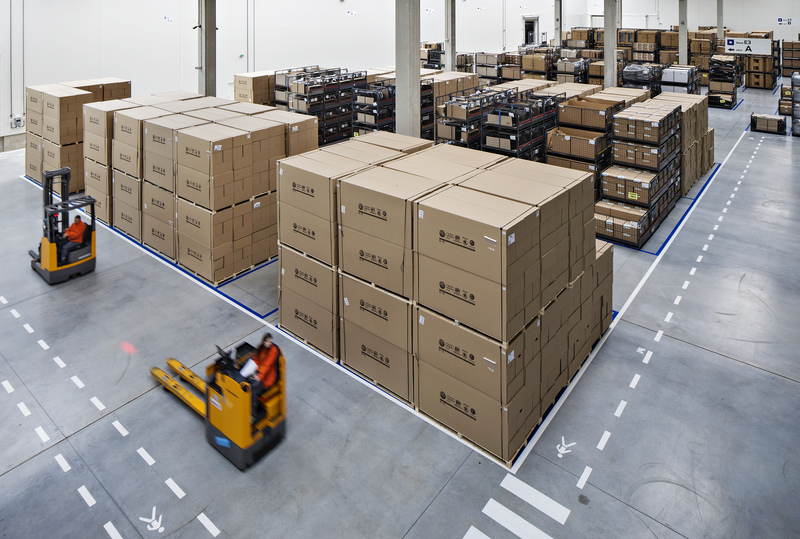 Most recently, for example, the warehousing area was expanded this year to include another 31,000 m2 structure. Let’s take a look inside and check out how the parts make their way through centre. 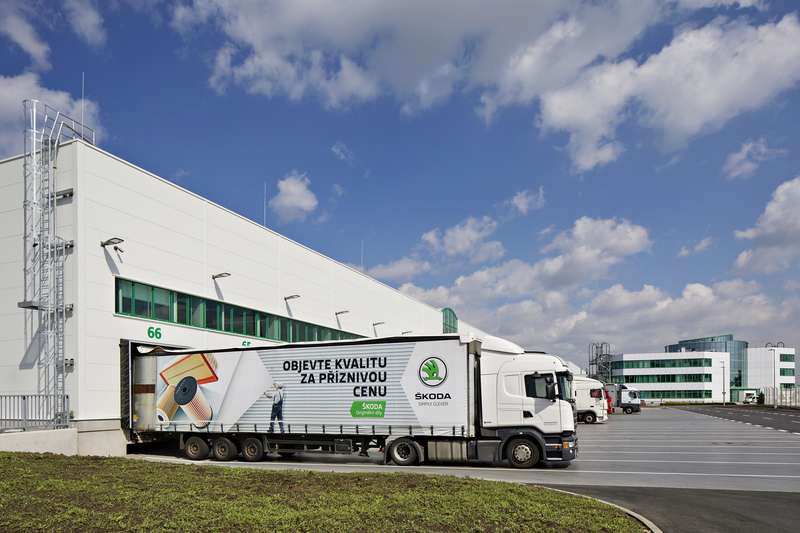 The stock-in halls receive daily deliveries from 1,944 suppliers based in the Czech Republic and a further 44 countries. 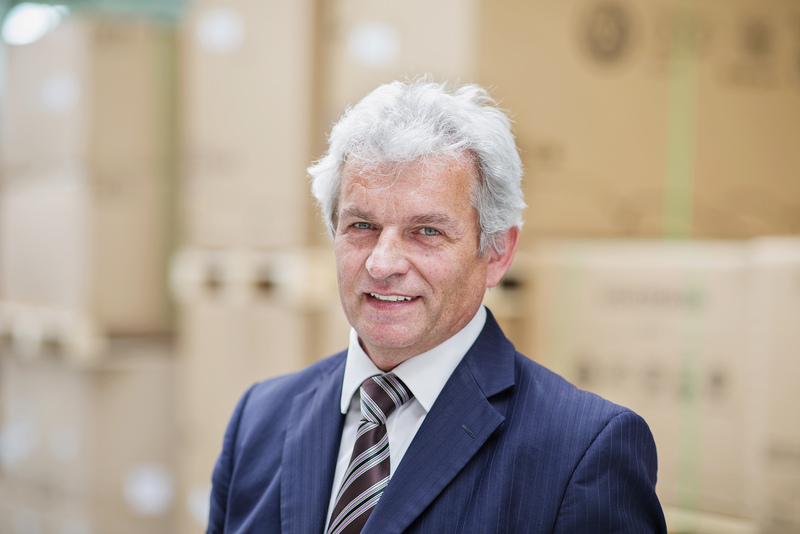 The daily capacity of the stock-in sites is about 200 lorries loaded with pallets full of material. Stock-in is a three-shift operation. 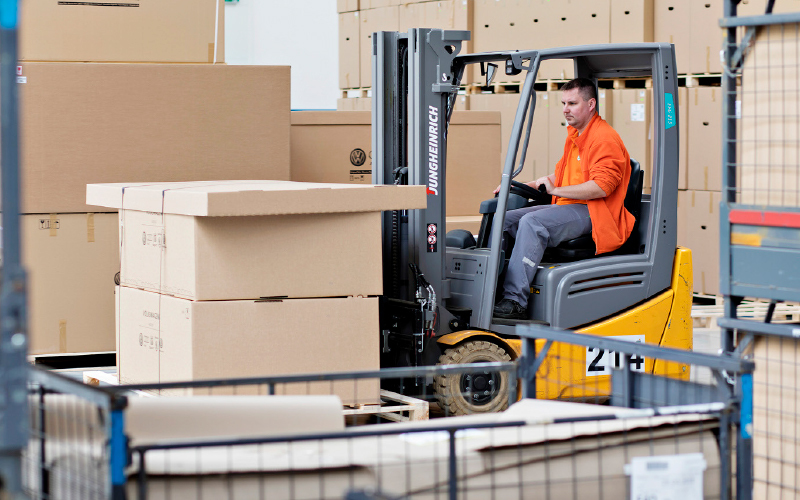 Transport from the stock-in sites to the individual warehouses and then to the shipment site is carried out by 148 electric trucks that handle thousands of transport units every day. The latest site enlargement project (by 31,000 m2) started in December 2016 and was completed this March. Parts on this site are currently stored in “blocks”, but the plan is to install a shelf system to increase the storage capacity. 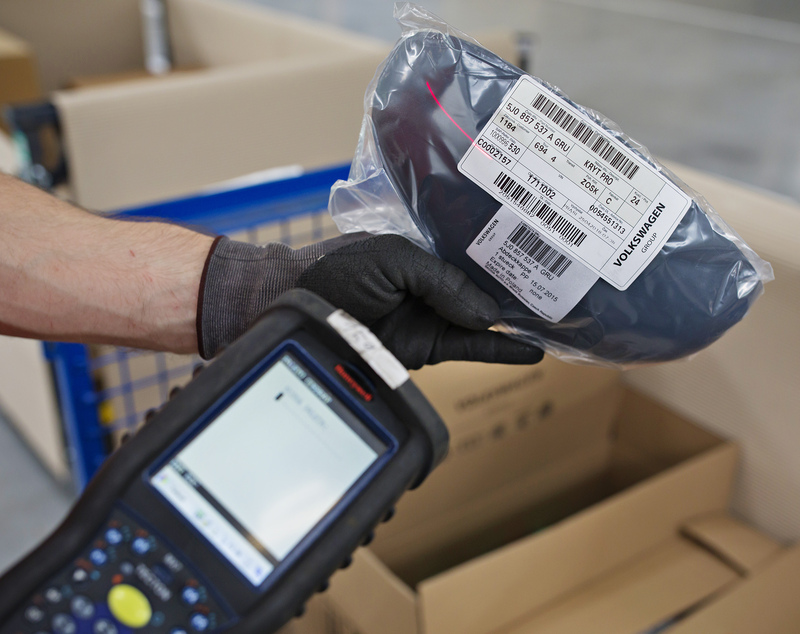 All material flows are controlled by SAP and ITM, systems that use a combination of barcodes and mobile terminals to ensure that each pallet reaches its destination in time and with correct product quantities. 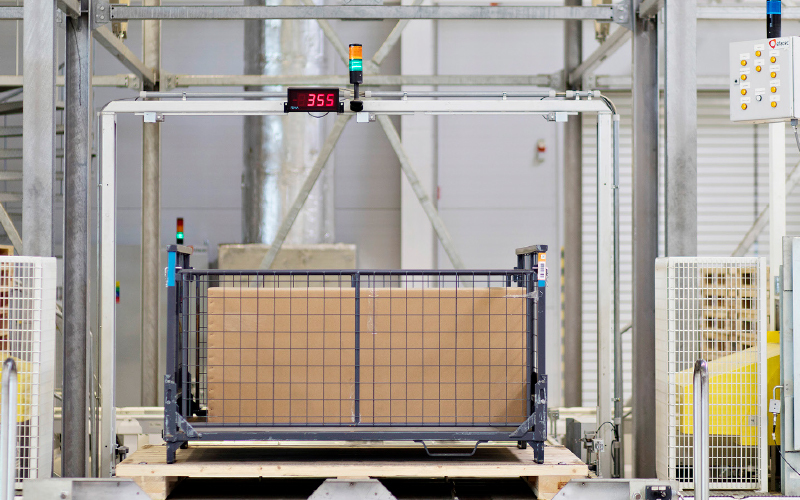 This system monitors every step, from stock-in to shelving, picking and shipment to customers. 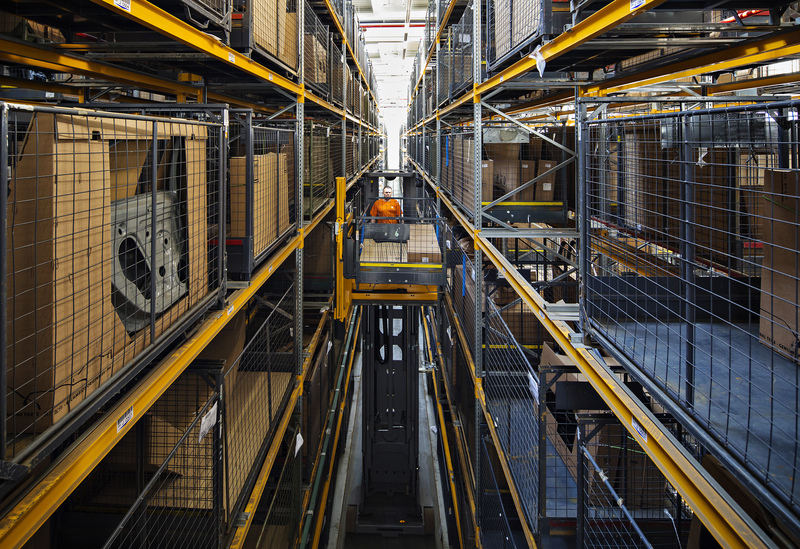 In traditional pallet/shelf warehouses, parts are handled by truck operators, but in this stacking warehouse the shelving and picking processes are fully automated. Each of the eleven aisles features an automatic shelf loader whose navigation system is based on laser rays. The total capacity of these eleven aisles (each of which is 42 metres) is 40,000 pallets, and the hourly stock-in/stock-out capacity is 200 pallets. 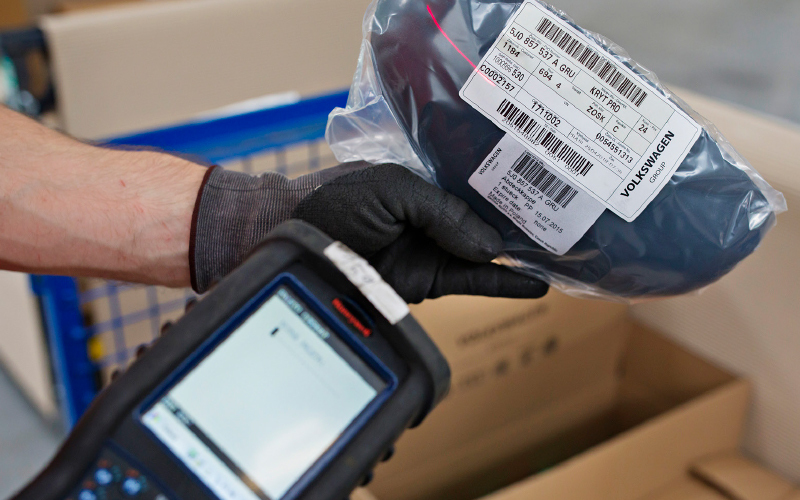 The responsibility for the picking process that follows lies with 12 operators who work in three shifts, use what is known as “pick by light” and confirm each transaction by scanning the barcode of the item concerned. Pallets holding the materials are stored on bottom plates. These plates are wooden, because wood has better mechanical properties than plastic or metal. 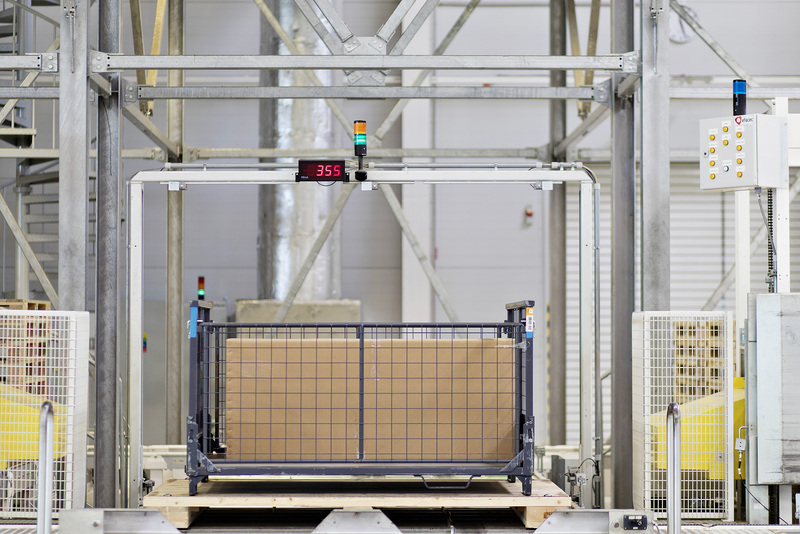 The warehouse uses 14 types of pallets, and each pallet that returns to the ŠKODA Parts Center and is intended for the stacking warehouse goes through an automatic 3D dimension-and-weight check. The tolerance is 16 mm, and any pallet that shows a higher deviation (as a consequence of damage, warping, etc.) is discarded. Owing to the highly sophisticated and accurate processes in place, all genuine parts and accessories ordered by dealers in the Czech Republic and Slovakia by 6 PM are distributed by the morning of the following day. 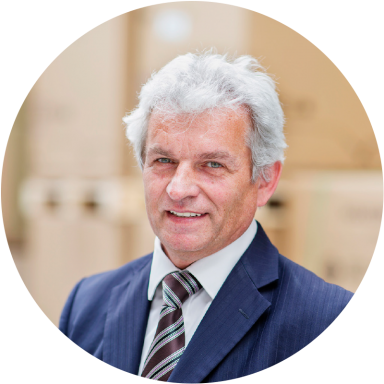 Shipments to big European countries are cleared within 24 hours, other European countries within 8 days and overseas shipments within 15 days. 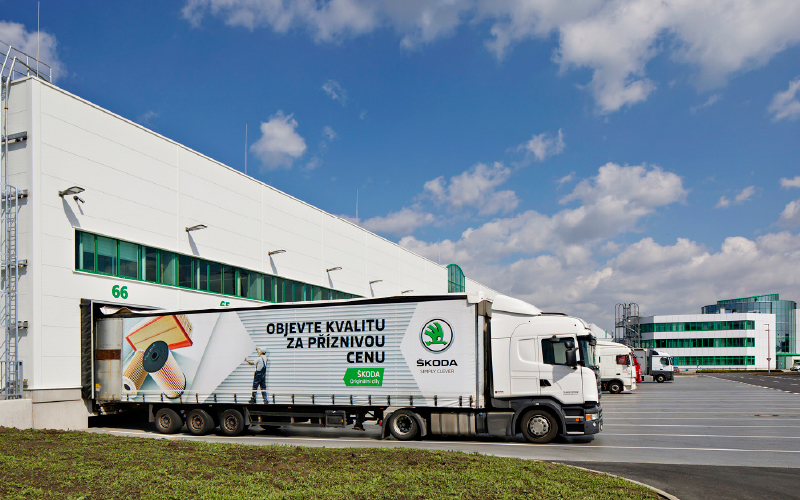 On average, 130 lorries loaded with parts and accessories leave the ŠKODA Parts Center every day. 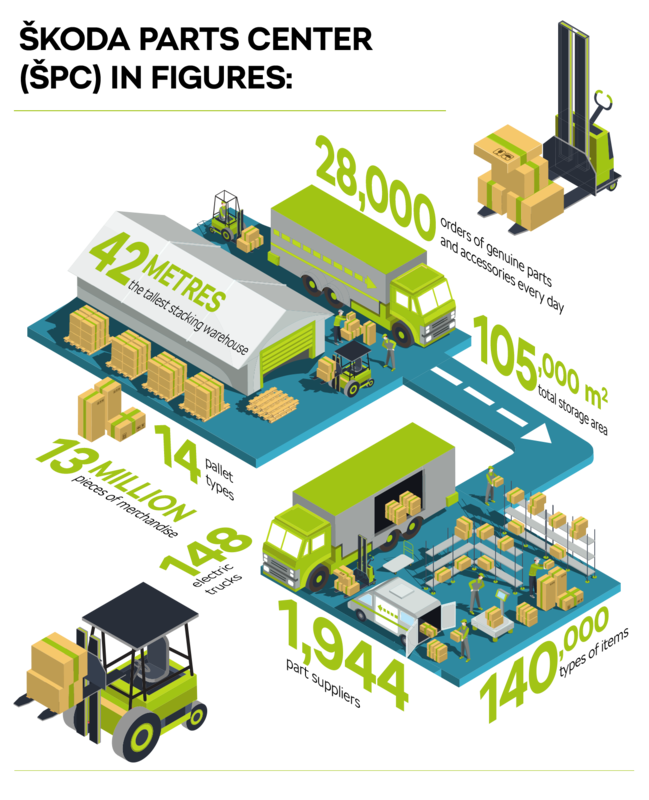 Shipments are transported by road, rail and air, and the most distant destination to which ŠKODA parts are transported is New Zealand - 18,135 kilometres as the crow flies.